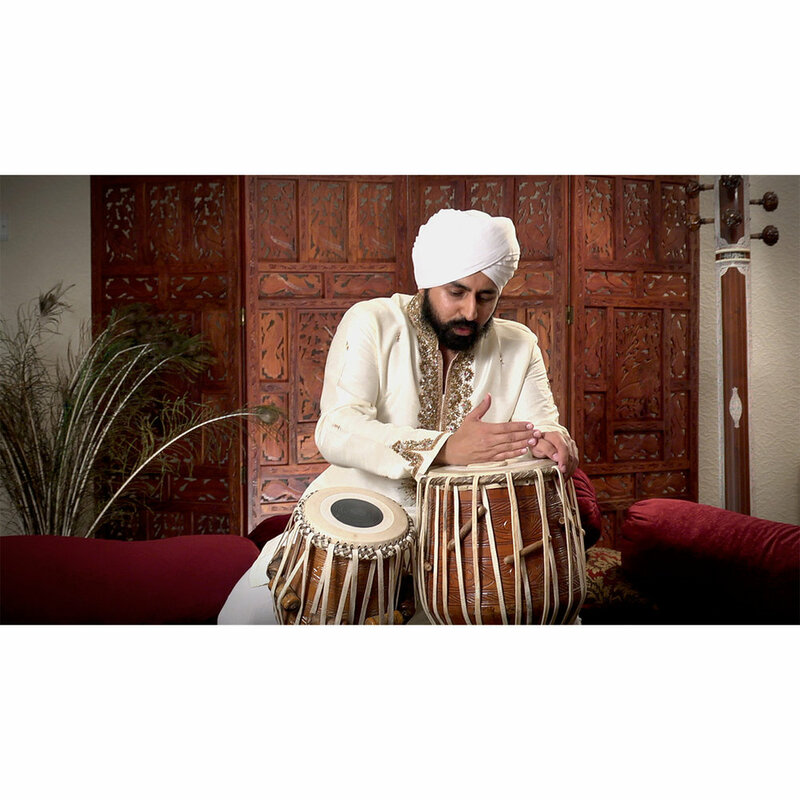 The Jori is a percussion instrument that traces its roots through the rich heritage of Sikh musical heritage. It is known for its breath-taking, powerful open-strokes and intricate rhythms played with open hands and fingers. 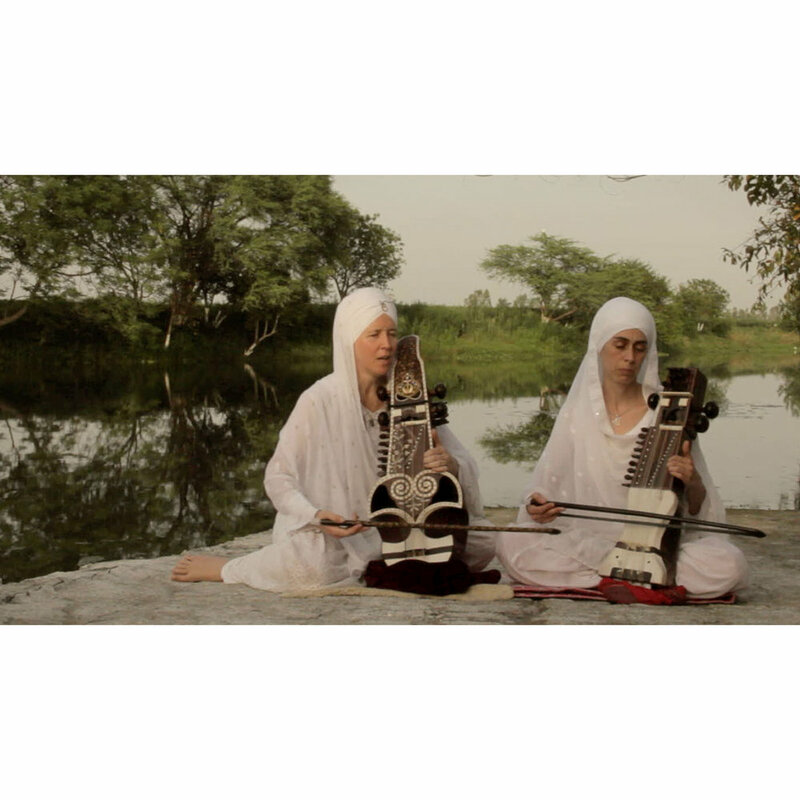 In Kirtan, the Jori symbolizes the rhythm of life. The Jori was brought into existence in the court of Guru Arjan Dev (1563-1606) by renowned Kirtaniyas (bards) of the era – Bhai Satta Dum and Bhai Rai Balwand. The Jori was created by splitting a century-old one-barrel instrument – Pakhawaj – into a two piece drum set. The exact reasons why the Pakhawaj was split into two smaller drums are unknown. However, understanding the evolving nature of music from Dhrupad to Desi or Margi Sangeet during the time of Guru Arjan Dev, provides some meaningful insight into the evolving need of the Jori in Sikh music. For many percussionists, it is a medium of communication and discovery of their higher consciousness. This first drum produces deep base sounds that are powerful and expansive. The pitch for this drum is set to a low saptak (octave) and is controlled by placing dough on top of the skin during practice or performance. The Dhamma is usually kept on the left side of the percussionist and played with the left hand. This second drum produces resonating sounds intricate in nature and expressed via a diverse variety of strokes with a high level of modulation in sounds. The pitch of this drum is set to middle saptak (octave), so its pitch is higher than that of the Dhamma. The Purdha is played with the dominant hand, which is the right hand for most people, so it is kept on the right side of the player. Having two drums standing almost upright instead of a single, horizontal barrel like the Pakhawaj allowed percussionists to introduce and expand on the variety of complex folk rhythms that were challenging to play on the Pakhawaj. Due to its origins from the Pakhawaj, the sound syllables on the Jori are “open” in nature because they are produced by striking the drum with the full strength of a percussionist’s palms and fingers. Playing the Jori requires tremendous upper-body strength, especially when played for a long duration of time. The style of playing the Pakhawaj or Jori is often considered more powerful, to the point where the player and the audience “feel” rhythm instead of “hearing” it. This is one of the reasons why the Jori is considered to be a world-class percussion instrument with an internal amplification mechanism due to its size and style of playing. What is the difference between the Jori and the Tabla? In contrast to the Jori, the Tabla has a “softer” style of playing where the movement of fingers is emphasized over movement of hands in open gestures. Thus, the Tabla produces softer sounds and often needs amplification by a microphone. The rhythms and beats also vary in their structure, recitation, and playing ability. According to a few historical sources, it is also believed that the Tabla evolved out of the Jori based on the many similarities between these drums in their physical form and playing styles. Today, a few renowned personalities continue preserving the art of percussion on Jori through teaching and performance. These personalities include Bhai Swaran Singh ji, Sukhwinder Singh Namdhari, Gian Singh Namdhari, Bhai Baldeep Singh, Bhai Gaam Rababi and Bhai Sudharshan Singh.